In our study, the nocturnal/pale/wall and diurnal/dark/trunk geckos could be considered the extremes of an ecological cline of morphological variation on which divergent selection may be acting. Combining the effect of balancing selection on nocturnal geckos and disruptive selection between two sympatric populations could lead to speciation. 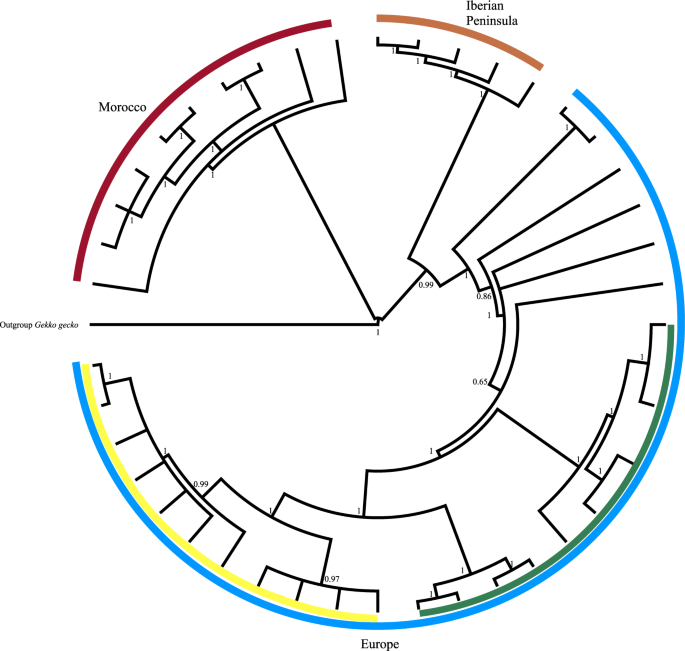 All geckos analysed here belong to the same species, as confirmed by genetic characterization, however diurnal and nocturnal gecko populations seem to be in an early stage of incipient speciation. Leer más.